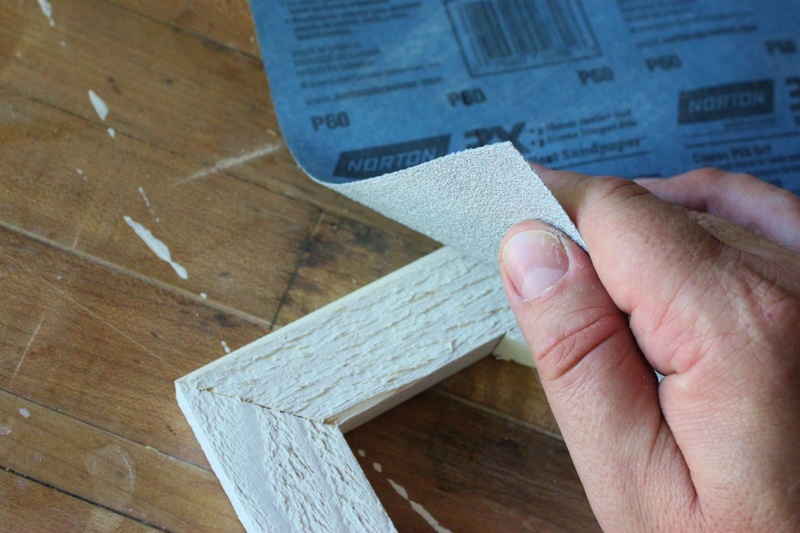 This one’s a little “crafty”……sorry. I don’t agree with their politics……they don’t approve of , well, just about everything in our lives. But it’s the place that all the “Lady-Bloggers” have been going on about. Row upon row of plastic Christmas balls (in July, mind you), ceramic hippos next to pipe cleaners, and almost everything has scripture printed on it. What could be more wholesome? 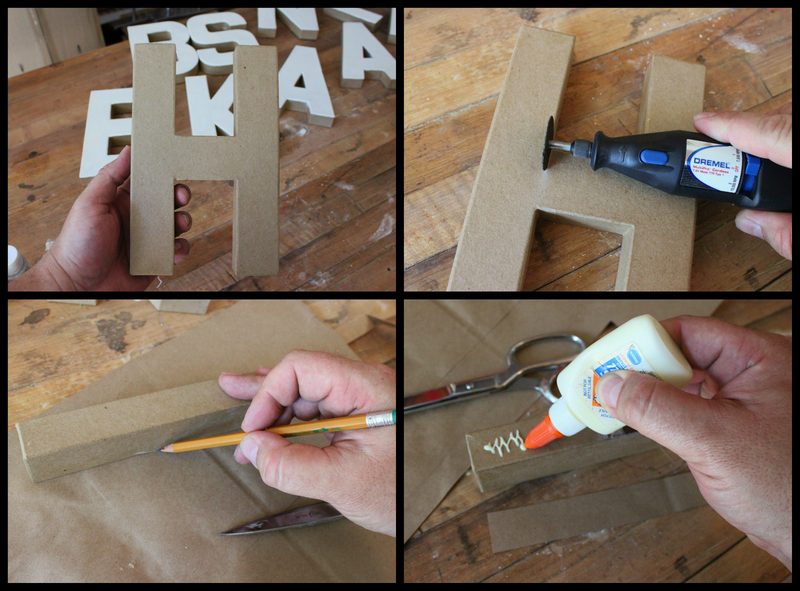 I’ve been watching these 8″ paper mache letters on the website for weeks. They’re 3 bucks each. Which isn’t bad….but I knew there’d be a 50 off promotion if I could wait long enough. The other morning I checked the site….Half off. Short road trip later, we returned with 3 complete words. 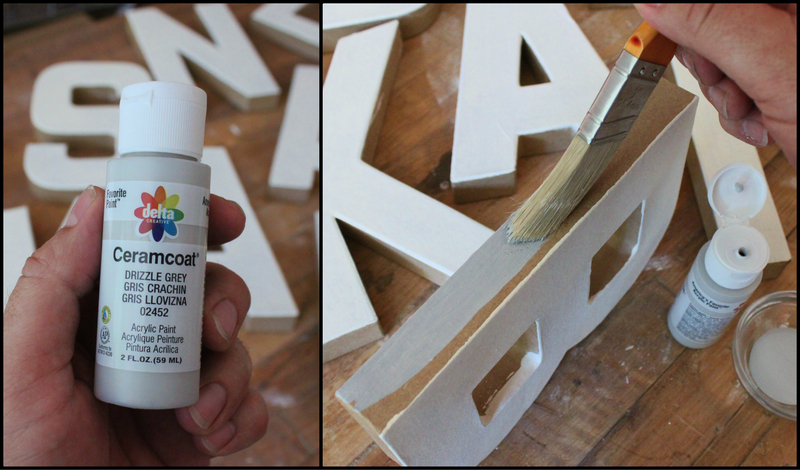 NO, I’m not going to spray paint them silver and spell out E.A.T. 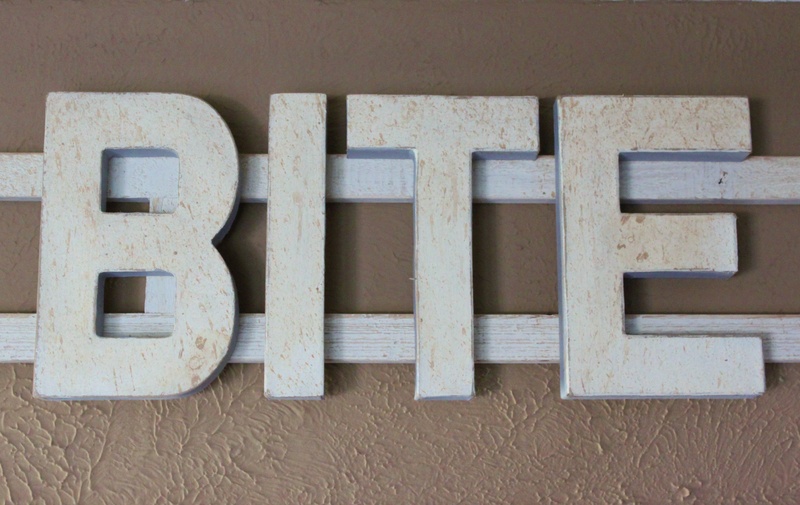 to hang in the kitchen…….If I ever do, shoot me. I have a much better plan. 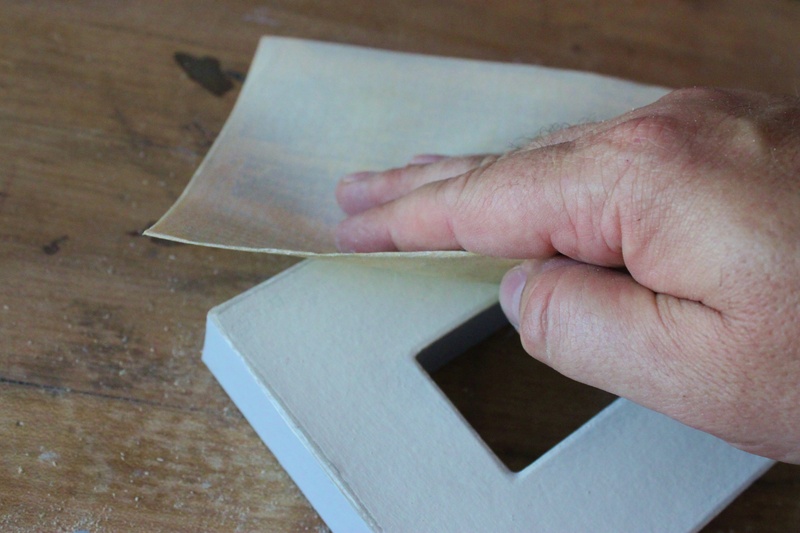 But first I have to make them look like…….ummmm, not cardboard. 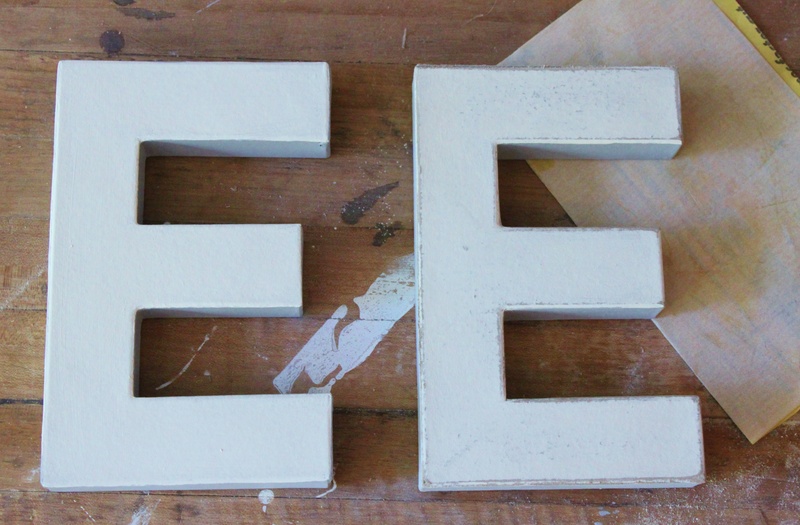 I used craft paint, in “Light Ivory”, to paint the fronts of each letter. The sides I painted “Drizzle Grey”, just for a contrast really. I didn’t like the option for an I, it looked too much like a Roman numeral, so I made my own with a H.
Pretty perfect I, if I do have to say so myself. Now, for something to mount them on. I imagined an arrow. You know, pointing to the lake. I started with primed cedar from Home Depot. It’s about 1 1/2 inches wide and 1/2 inch thick. OOOOhhh, and about 10 foot long. I cut them down to 7 feet with a 45 degree angle at the ends. 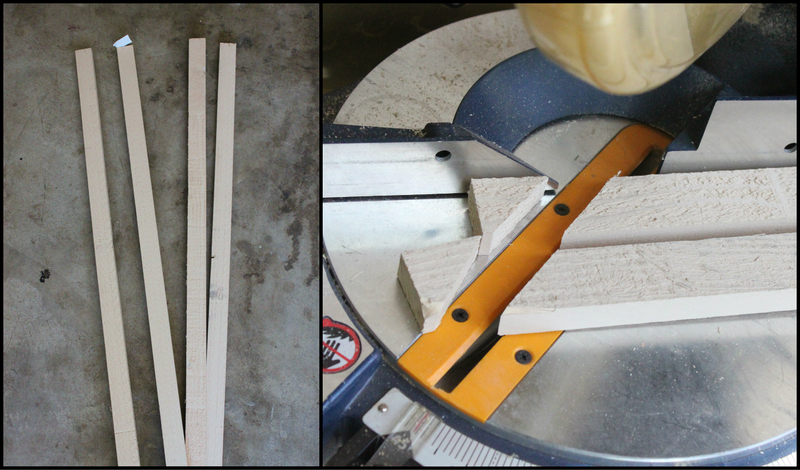 Then I cut 2 8″ angled pieces to form the arrow head. 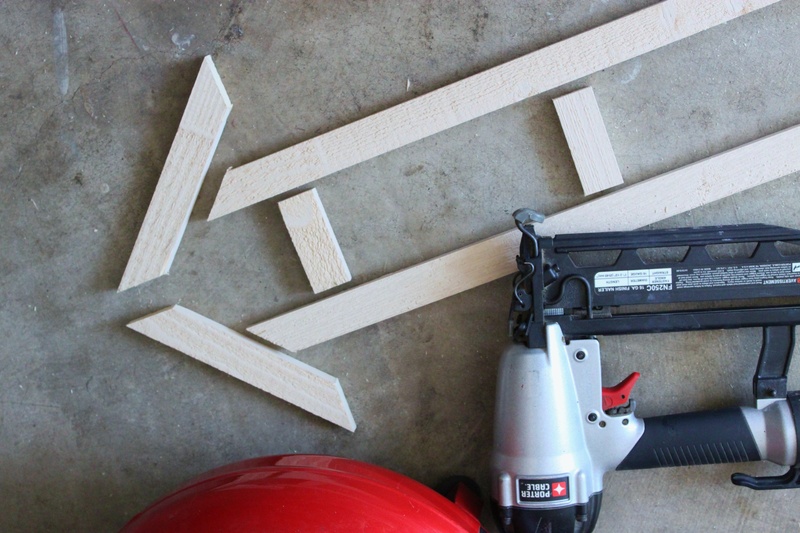 Shot it all together with a brad nailer…and added a few small pieces for support in the middle. Painted it with the light ivory craft paint too. 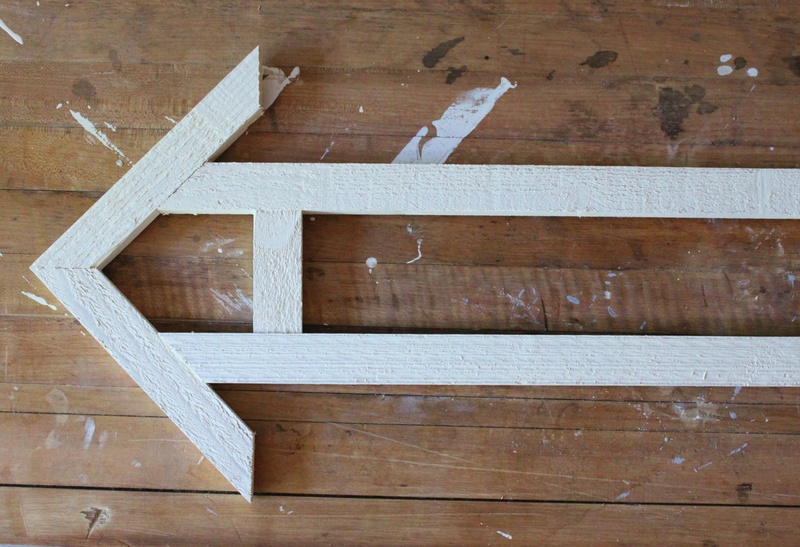 To roughen-up and “age” my arrow, I sanded as much of it as I could with 60 grit sandpaper. 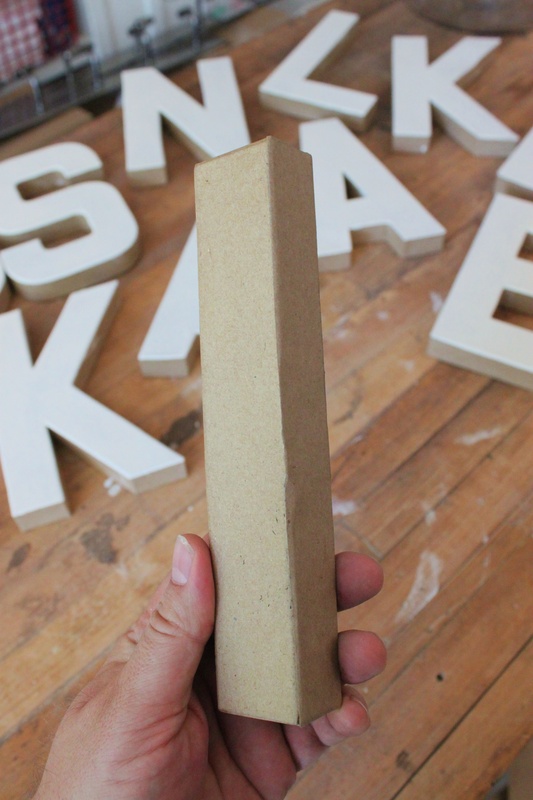 I used 120 grit sandpaper on the cardboard letters. Just that little bit makes them look nicely aged and patinaed. 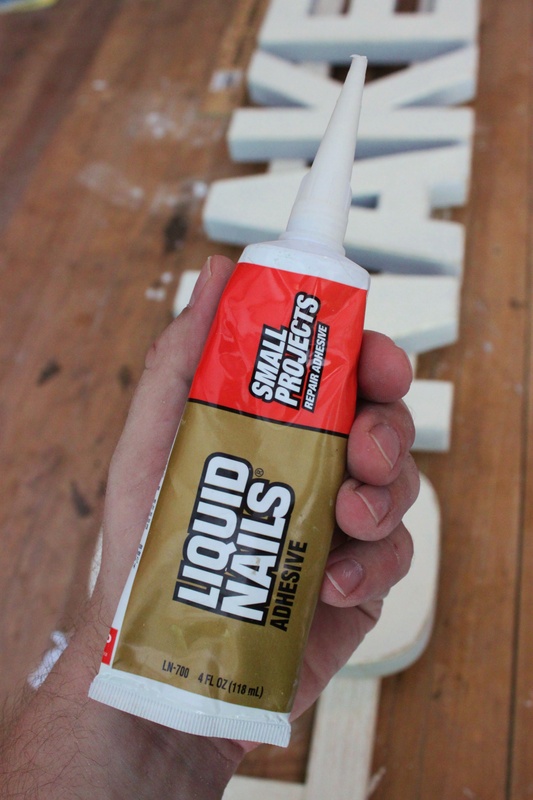 I attached my letters to the arrow with Liquid Nails for Small Projects. Love that stuff. OK, Now to make my sign look just like it was hanging on the side of the road for a few years….. 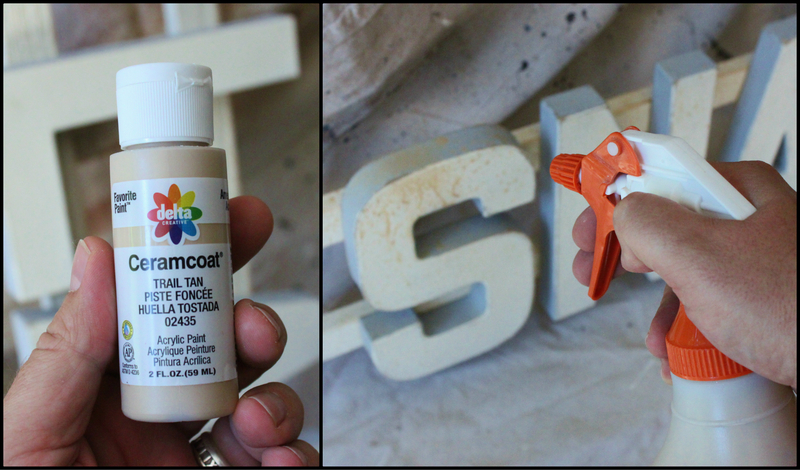 I mixed, yet one more color of craft paint, Trail Tan, with about a cup of warm water in a spray bottle. With my sign standing up right, I spritzed the entire top to simulate rain, or dust…or something like that. So why “SNAKE BITE LAKE”? CAMP CRYSTAL LAKE was my first thought. SNAKE BITE LAKE just had a nice sound to it….. I love this! 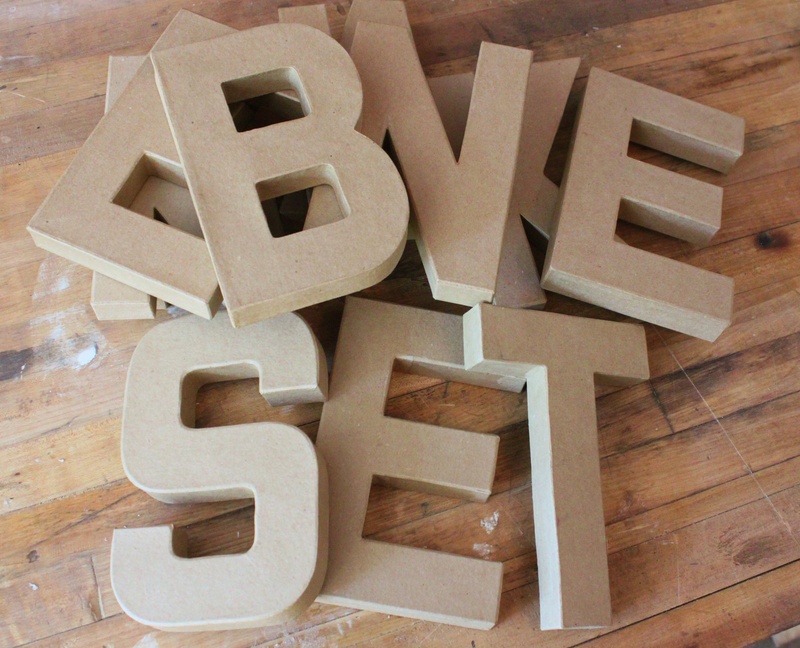 Now I’ll have to think of something make with these letters. Maybe not EAT. Definitely not EAT……that’s the modern equivalent of a Harvest Gold refrigerator…. Pretty sure that you can do this one Kathi…. 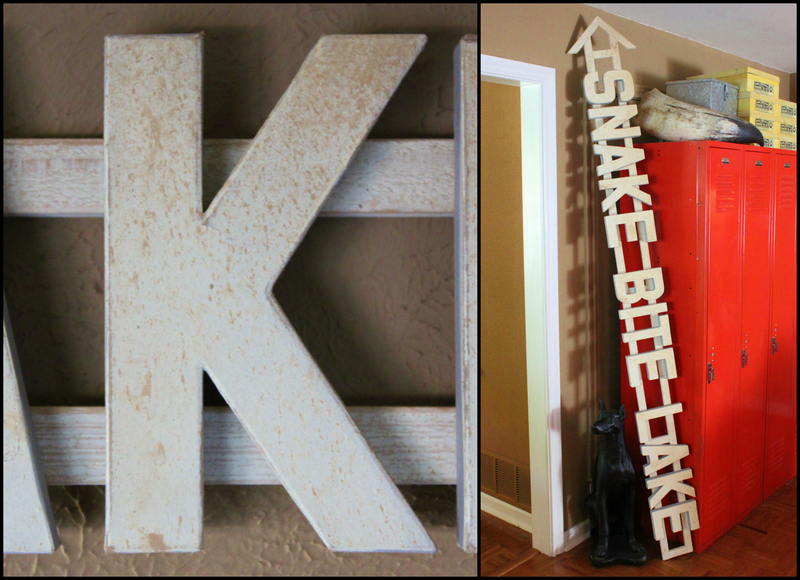 How I wish I could tamp down my distaste for Hobby Lobby in order to get these letter. Alas, I cannot and so I perhaps will do without. Really like what you did with them….. I hear ya…..Was a little hesitant to recommend them….but they always have everything. And you can’t beat 50% off…. You are a genius! This is fantastic. 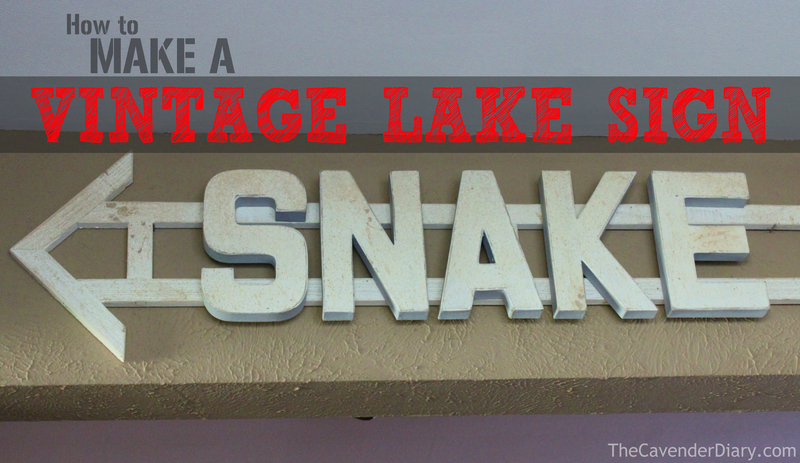 And I love “snake bite lake” – I’m a big fan a snakes! Jamie screams every time he sees one……I tell him to leave them alone. The eat all the things we don’t want in our yard. I really like it. I love old signs. I have an idea. I suppose I’ll just go eat at Chick Fil A while I plan… I still haven’t set foot in our local Hobby Lobby. Where are you going to hang it? Are you holding a tiny little glue bottle or are your hands like baseball mitts? LOL! I do have big hands!!!! I’m with you on Hobby Lobby …. while I was in the middle of Nebraska there’s nothing but Hobby Lobby…man it was tough walking in there. Most I told why I dislike Hobby Lobby so much had no clue nor did they care. Love the sign and thanks for the tutorial! Some companies I just can’t stomach……like Hobby Lobby…..but the Salvation Army is even worse. They are a Religious Organization pretending to be a charity. “Charitable” they aren’t …give ’em a Google.